The story of the Grays is a story, in microcosm, of what has happened in East Austin for the last three decades. Chris, who is from Hereford, Texas and John Gray, who is from Corpus Christi, Texas, met while students at The University of Texas at Austin. She was journalism major and he was a history major. They married. After graduation, they decided to stay in Austin. Chris worked at The University of Texas Press writing dust jacket copy and promoting scholarly works. As jobs for history majors were scarce, John worked construction jobs such as hanging drywall. Though he had no formal training in ceramics, he began learning the craft of pottery from two Austin potters. 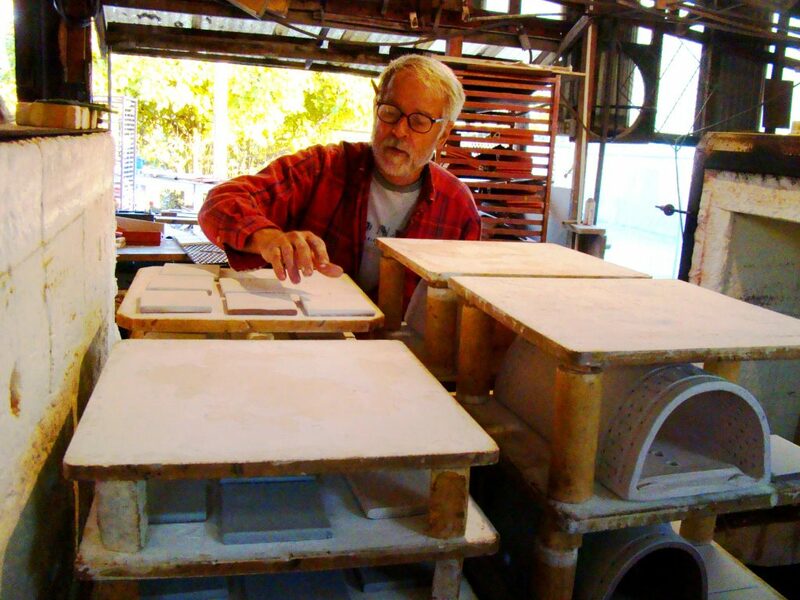 As he learned to mix clay and glazes, John began supplying clays to potters in Austin. 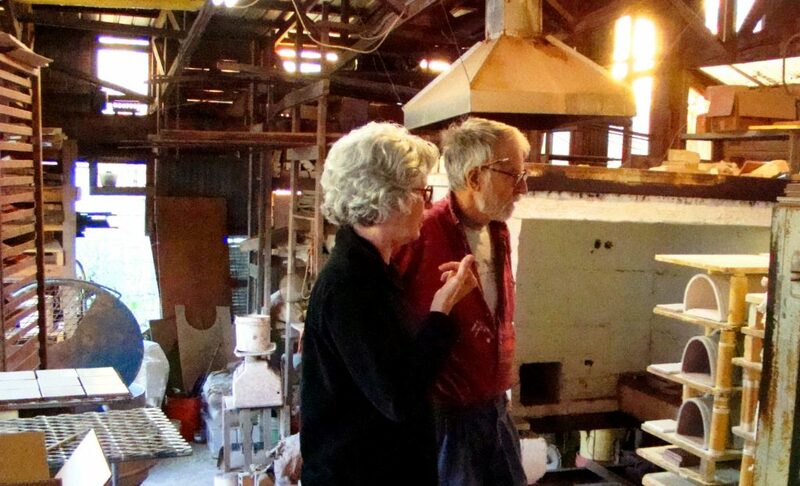 The Grays started Clayworks on West Fourth and then in 1979, the couple bought the property at 1209 East Sixth Street. “It was cheap, then,” Chris said. 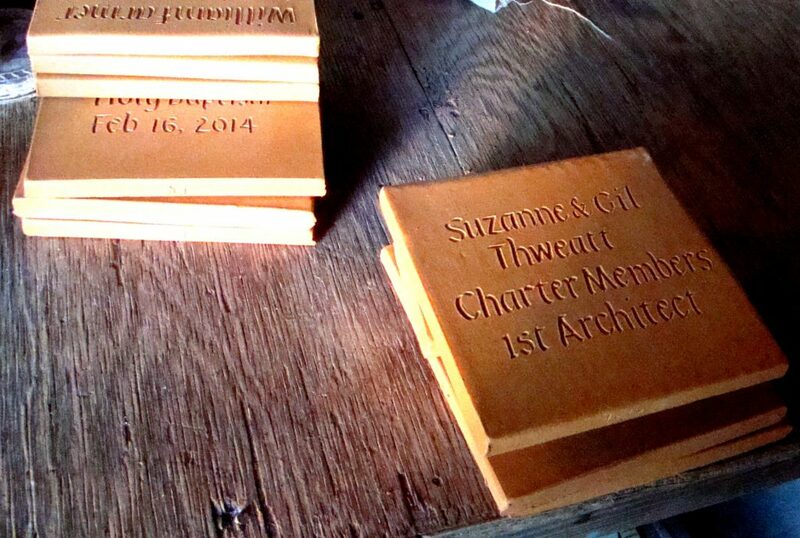 The Grays began making and supplying custom architectural work, including historic tile restoration. They moved into more complex and complicated projects such as large scale seals and murals. 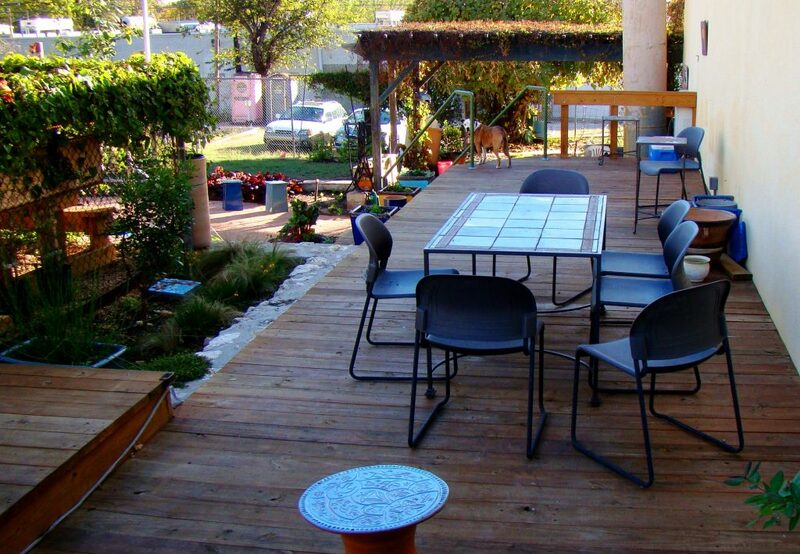 As they worked in East Austin, their business prospered. Then, in the last decade, East Sixth Street began its rebirth. The Grays, who already hosted events in their studio and gallery, added a patio last year to provide more space for visitors. The Grays’ son, Stewart Gray, handles Clayworks Studio/Gallery’s graphic design and web work. Their daughter, Alice Graulty, helps with events. Clayworks Studio/Gallery has hosted several events over the years. 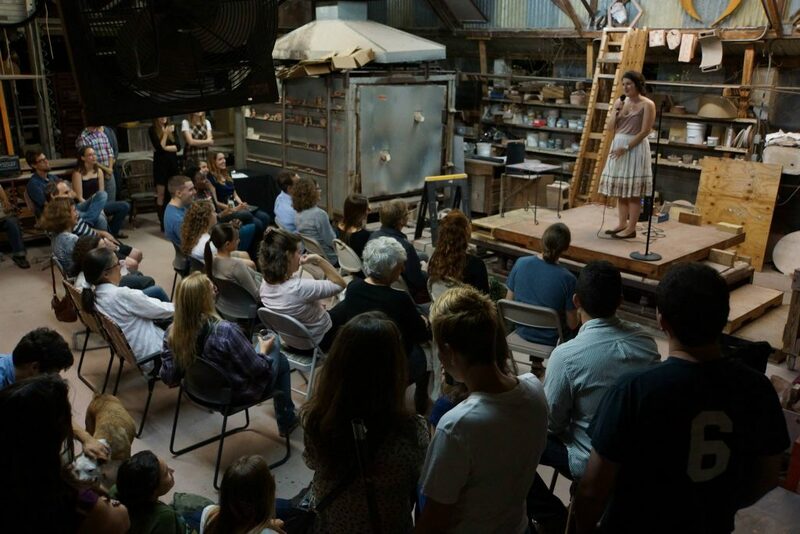 Recent ones include LitCrawl during the Texas Book Festival and the Austin Fluteworks Project. Concerts, exhibits, receptions, dinners and business presentations hold forth in the gallery setting, the covered outdoor studio and garden area. There’s even room for music and dancing. The studio does pavers for fundraisers for schools, churches, libraries and other institutions. John and Chris do the calligraphy with each donor’s custom information. Clayworks pavers, calligraphically inscribed with the names of donors, have helped to raise millions of dollars for public projects such as schools, libraries and churches. 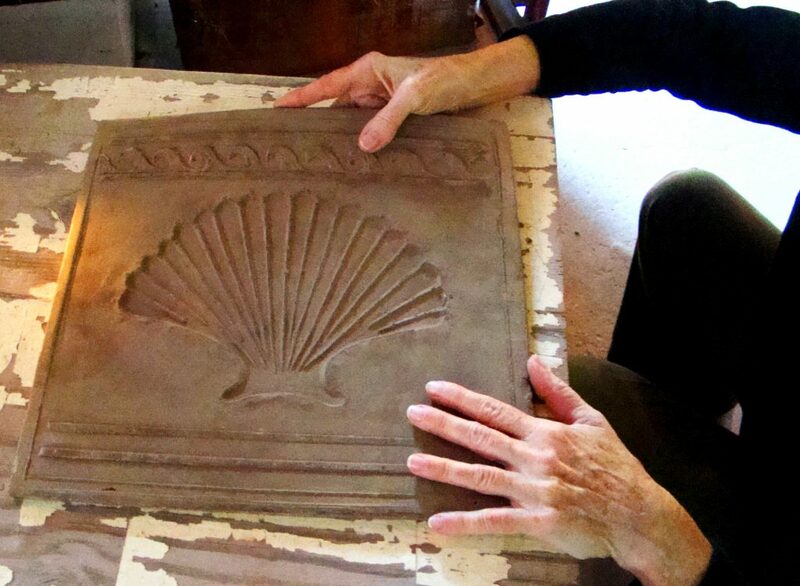 The Grays form sconces from potter’s clay, embellish the works by hand and fire them on site. 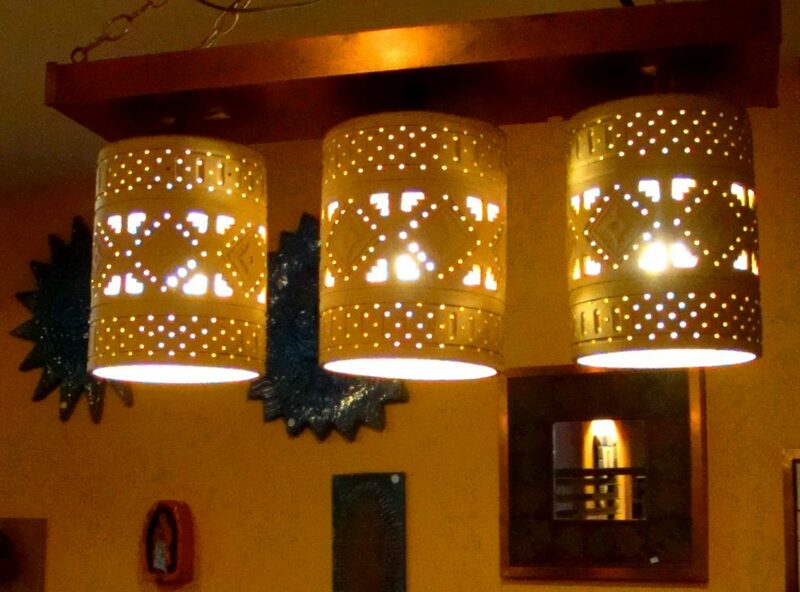 The ceramic sconces come wired and ready to mount, and are intended for indoor or protected outdoor locations. Some of the most beautiful works are tables that have been cut, carved, glazed and fired by the Grays and set in an iron frame. Scuppers are some of the diverse architectural ceramics the Grays make. Scuppers are often used for drain spouts on gutters. 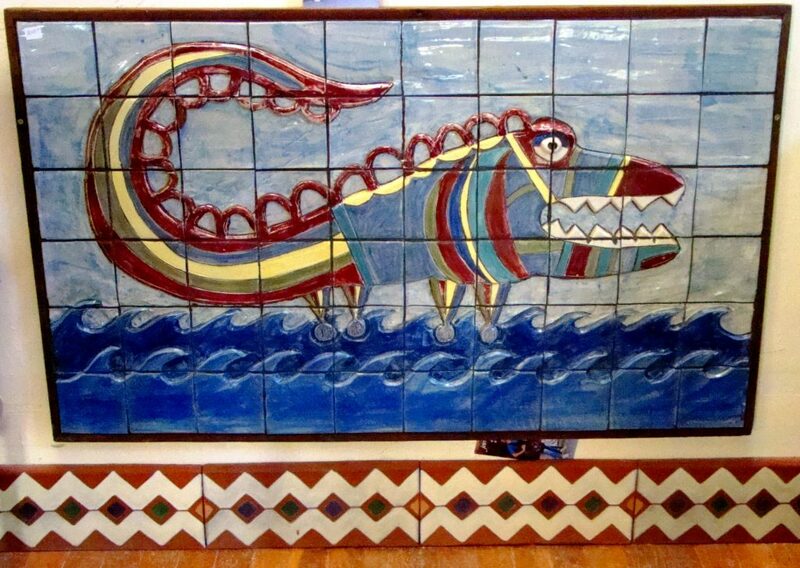 Ceramic murals and seals are often commissioned by colleges, institutions, schools and home and ranch owners. One project the Grays made was a huge seal that now hangs at the Student Services Building at The University of Texas (Dean Keeton between University and Wichita). Several garden items such as planters, vegetable markers and tile markers are made by the shop. 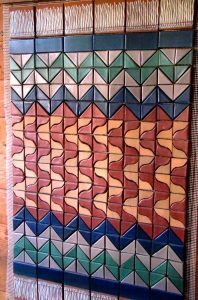 See Clayworks’ creations, embodying 35 years of experience and skill, at their gallery or online at Clayworks.net. Have you seen any of Clayworks’ creations around Austin? Cover image by David Ingram via Flickr CC.